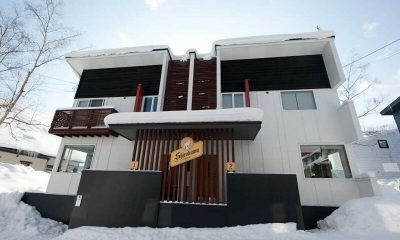 Kuma Cabin is a cool and compact ski chalet surrounded by pure powder snow in the laid back Lower Village. 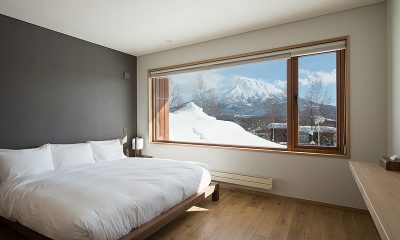 Kuma Cabin is an authentic ski cabin renovated to meet comfy Western standards in a strategic nook of the Lower Hirafu Village in Niseko, Japan. 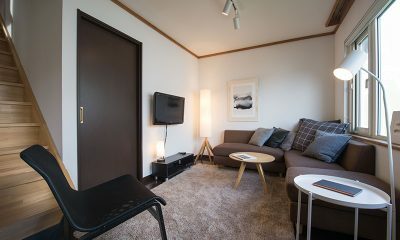 Offering all the mod cons you’ll need, including Apple TV and Netflix, Kuma Cabin offers the perfect home base for taking in Niseko in style. 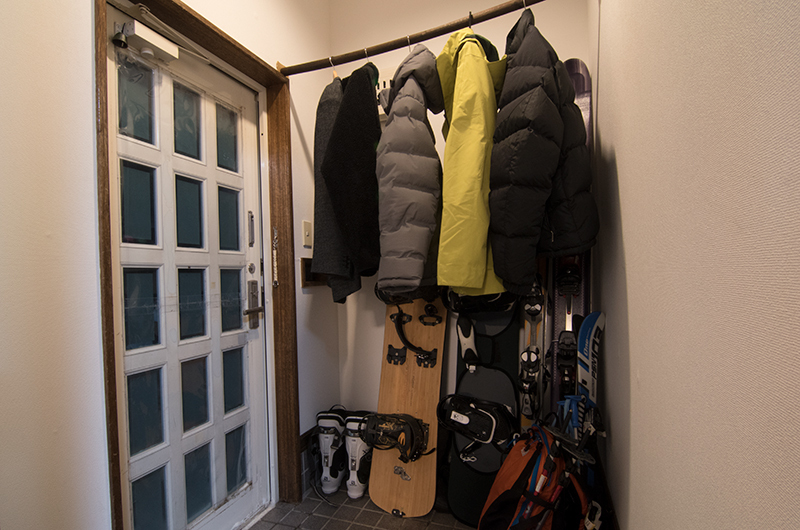 The ski shuttle stops just 50 metres from your doorstep. 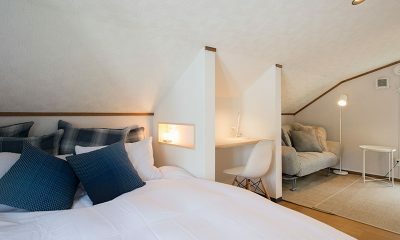 Kuma Cabin has two bedrooms, one on the ground floor and one in an open-plan loft space. 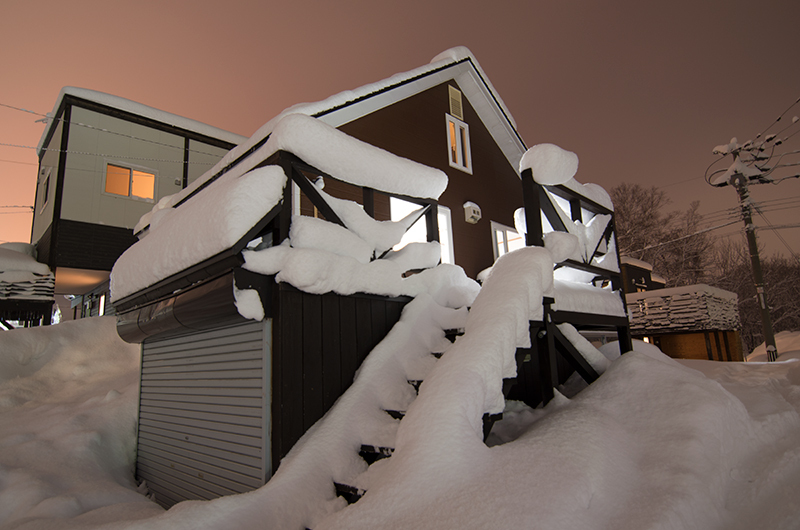 Our team stayed here – read more about our cosy stay in Kuma Cabin. 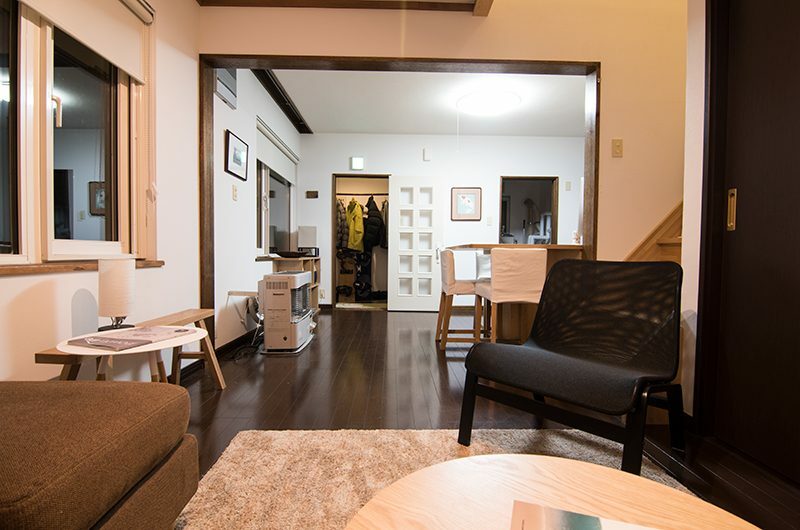 Kuma Cabin is one of Hirafu’s original ski cabins and the exterior maintains the cosy feel of an Alpine home. 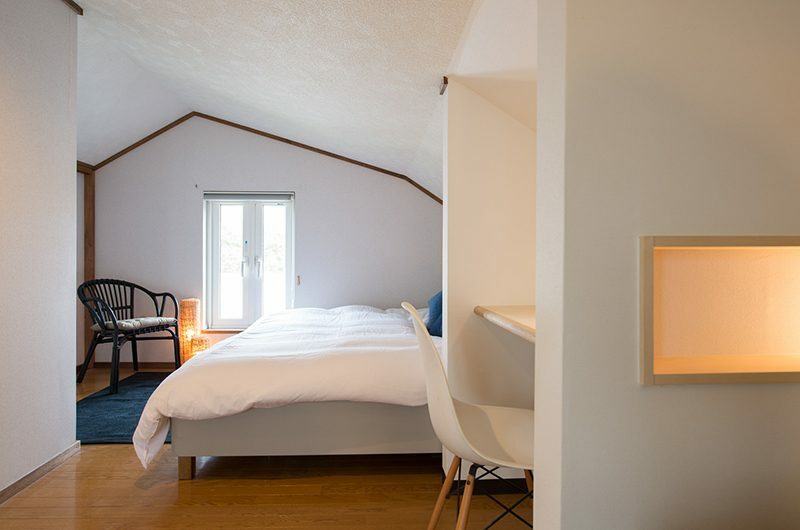 Indoors, the chalet’s been fully renovated with crisp interiors providing a fresh modern look. 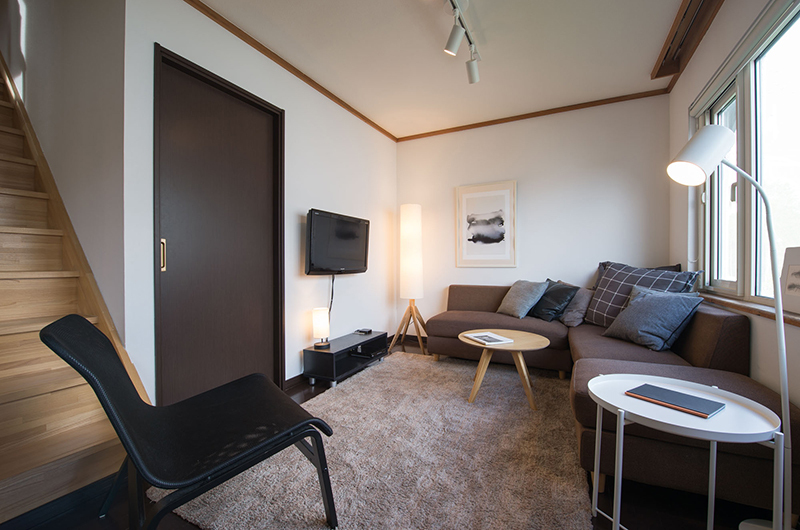 Kuma Cabin’s living room has an L-shaped sofa facing a flatscreen TV. 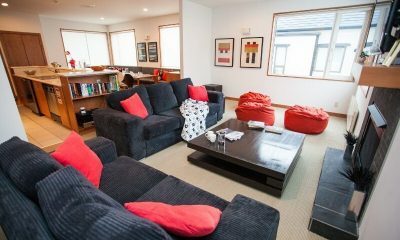 The chalet is equipped with a DVD player, Apple TV and Netflix to keep you entertained after a day of skiing. 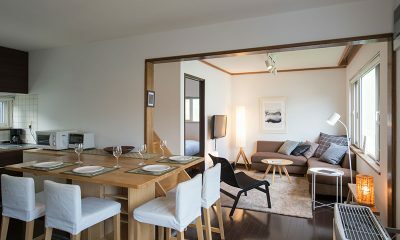 Kuma Cabin’s dining room and kitchen is located next to the living room. The room is furnished with a four-seater dining table and a compact open-plan kitchen. 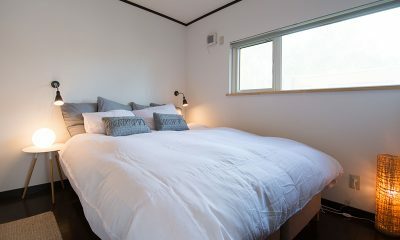 Kuma Cabin has two bedrooms, both furnished with a queen-sized bed which can also be set up as two single beds. 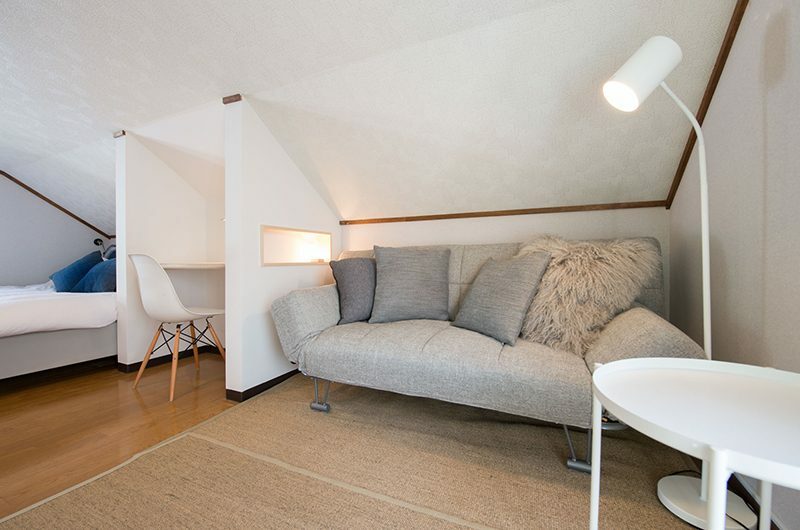 One bedroom is located downstairs and the other is an open-plan loft space upstairs. 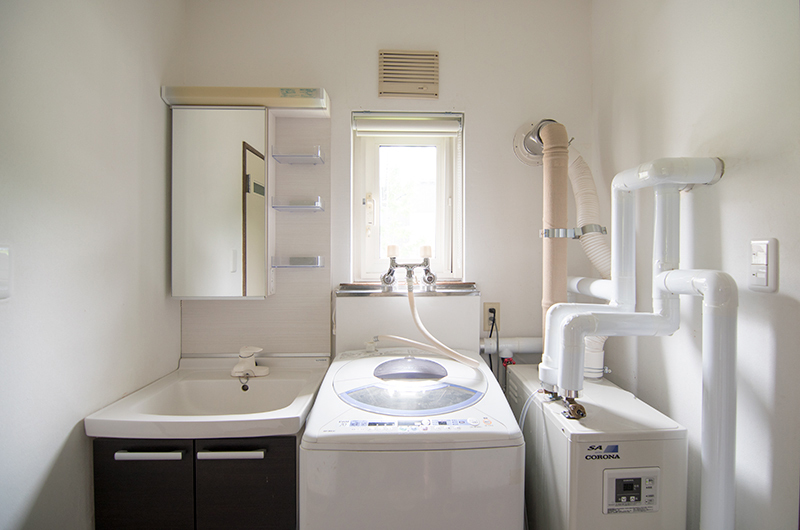 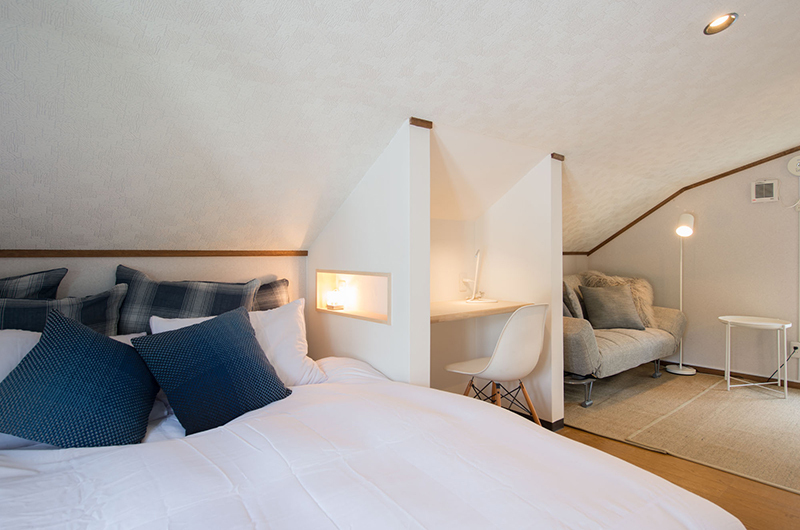 The first bedroom is located downstairs and it’s compact in size in true Japanese style. 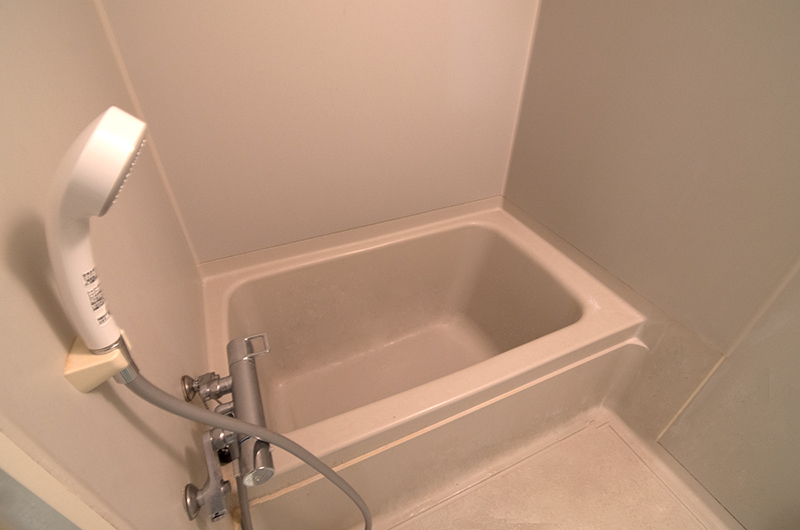 There is one shared bathroom servicing the whole cabin. 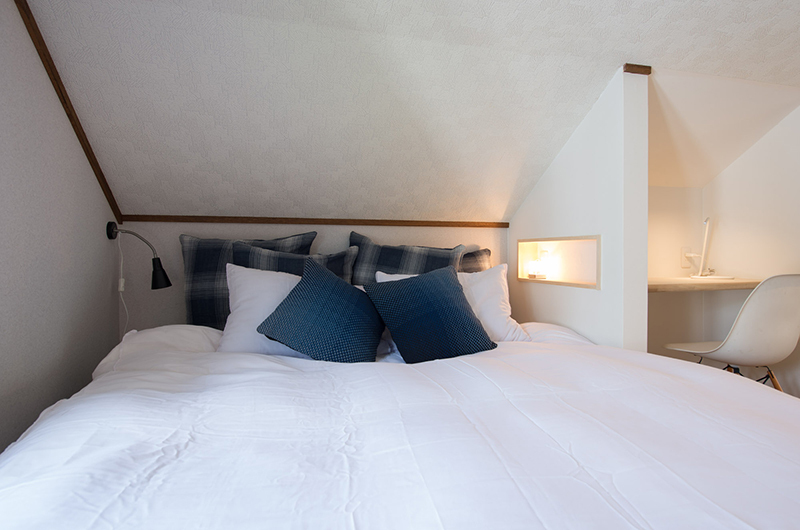 The second bedroom is a loft space furnished with a queen-sized bed which can also be set up as two single beds. 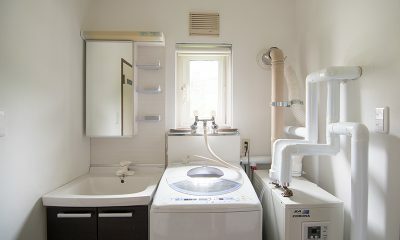 There is one shared bathroom servicing the whole cabin. 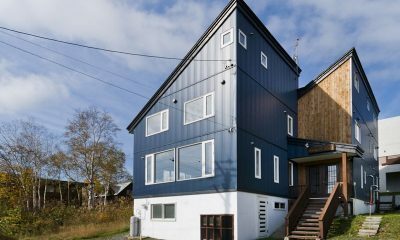 Kuma Cabin is a two-bedroom chalet that’s built over two floors. 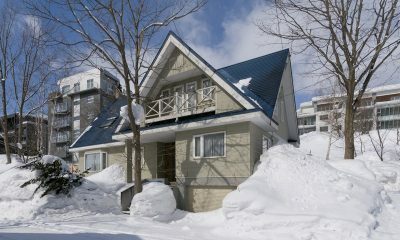 The ground floor houses the living and dining areas, one bedroom and the chalet’s only bathroom. 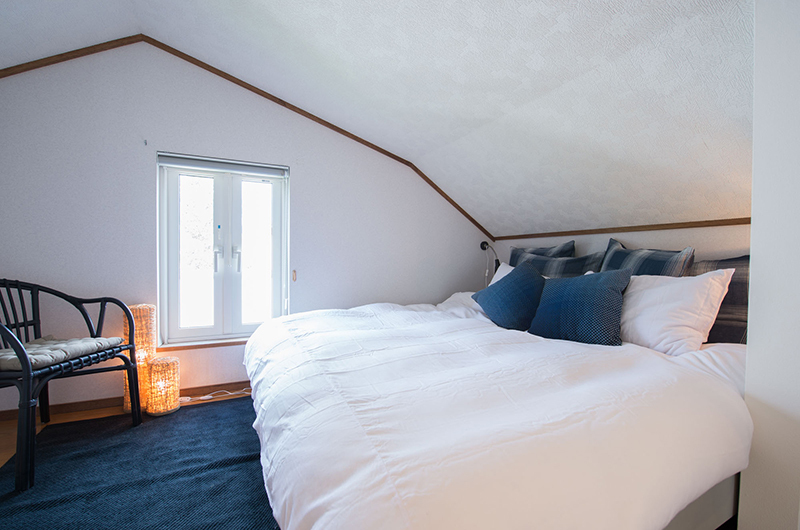 There is a second loft style bedroom upstairs. 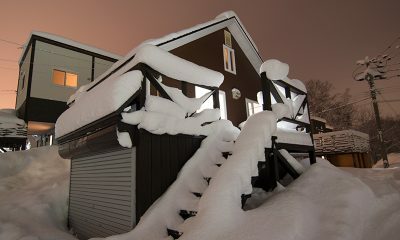 Kuma Cabin is located in the Lower Hirafu Village in Niseko, Japan. 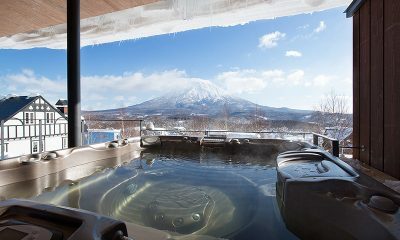 The chalet overlooks snowy woods and the upper floor loft has views of Mount Yotei. 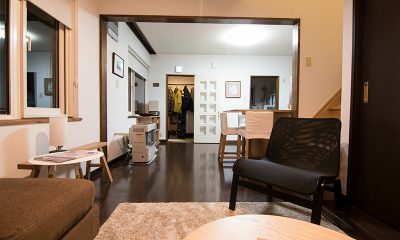 The chalet is located within a 10-minute walk from the main Hirafu Village where you’ll find the best restaurants and liveliest night life. 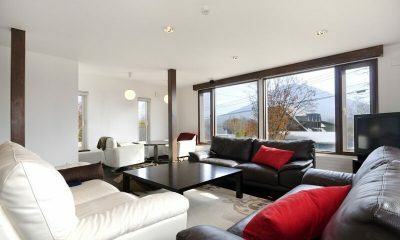 The ski shuttle stops just 50 metres from the chalet, so getting to the slopes will be a breeze. 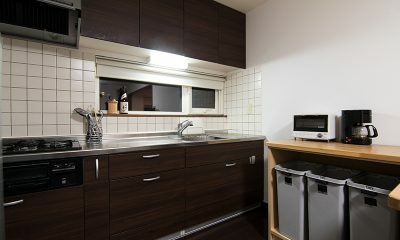 There are also some great restaurants close by in the lower village. 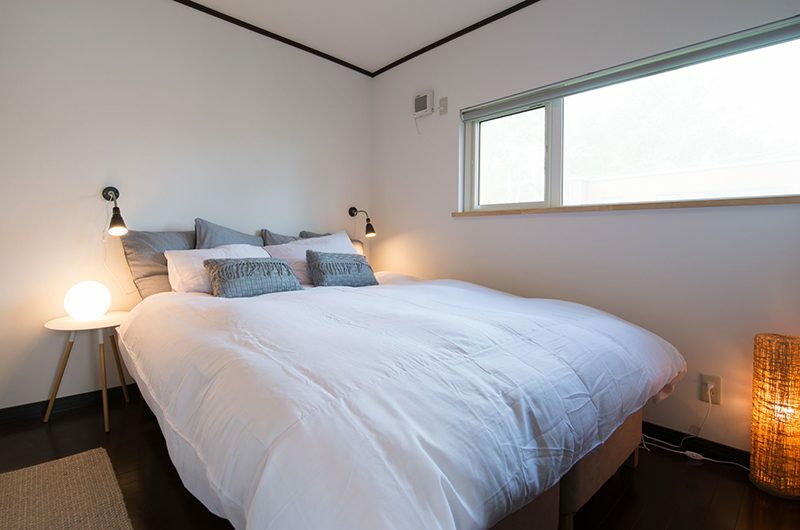 Beautiful house, great location, clean, comfy beds… can’t wait to stay here again! 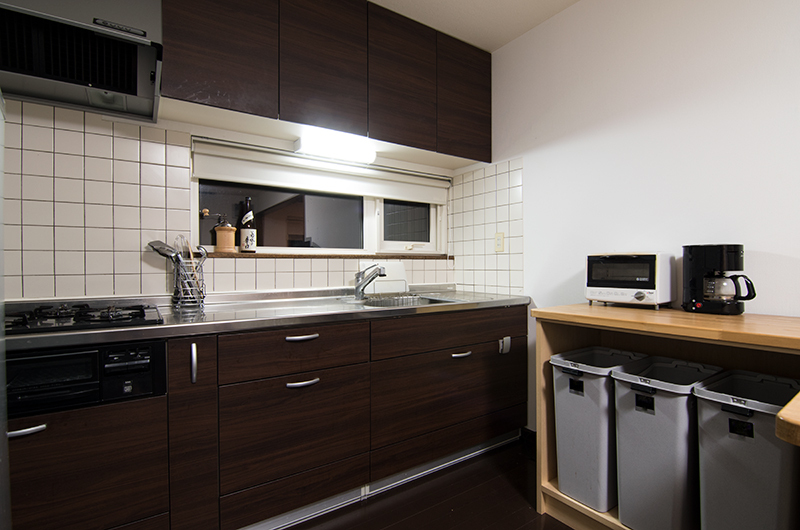 Great experience as everything was nearby, especially Indian food walking distance. 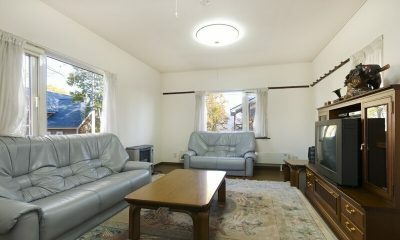 A great property in lower Hirafu, just around the corner from the shuttle bus. 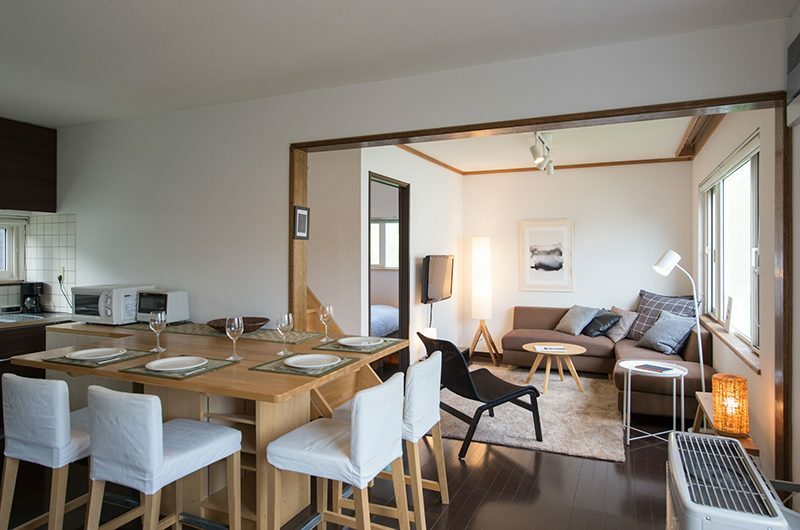 Easy access to the restaurants, main street, shops and onsen. 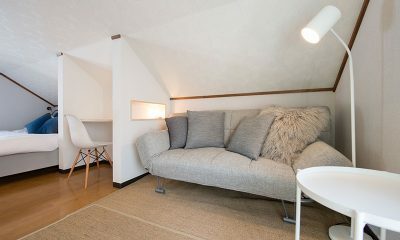 Fast Wi-Fi and perfect for a small family. 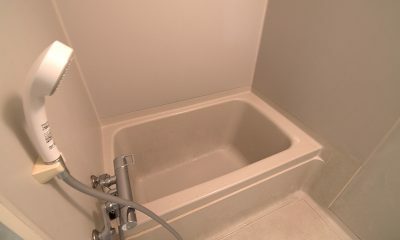 If you do stay here with two couples just remember you have just the one bathroom to share.